In ten years of activities, with the participation and dedication of more than 90 volunteers, FLGCP has already worked with 35 partners, benefiting 70 thousand people. What does the Foundation offer to society? FLGPC represents the social branch in Brazil of the groups formed by Lama Gangchen Rinpoche and Lama Michel Rinpoche, bringing Peace Culture through its BEING IN PEACE Program to schools, social organizations which work in needy communities, the corporate world and others. In 2018, BEING IN PEACE Program will be expanded to meet the growing demand. We estimate that about 5 thousand people will benefit directly and indirectly, among children, teens, and adults. We will continue and expand the BEING IN PEACE Program with our current partners, among them: José María Pinto Duarte Public Middle School, Child and Youth Court of the São Paulo Justice Department in the development of Restorative Justice, Julita Foundation, Pauliceia High School, Assistance Association of Work Integration Ser Especial, and Citibank. We count on your support in transforming the culture of violence into a culture of peace. Lama Gangchen Rinpoche, always ahead of his time, contemplates the Culture of Peace in a unique way. Inspired by the Lama Gangchen World Peace Foundation, the Fundação Lama Gangchen para a Cultura de Paz was created in 2007, becoming then one of the social arms of Lama Gangchen’s work in Brazil. We are very proud and happy to be part of this team that develops an inner peace education methodology, based on the teachings of the lineage, which are transmitted by Lama Gangchen and Lama Michel. Education for inner peace is education for life. It proposes the development of physical and emotional balance, helping us to with all aspects of life in a more peaceful, harmonious, and happy way. FLGCP believes that inner transformation of individuals, developing their positive, creative, compassionate, and peaceful potential is the most effective instrument to understand oneself and others, for collaboration and enrichment for peace. 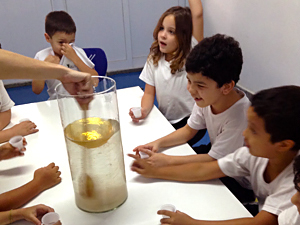 Fundação Lama Gangchen para a Cultura de Paz created Being in Peace, a non-formal education program focused on public and private schools, NGOs, institutes, foundations, professionals from various areas, families, and the community. “It is very important in reaching the community we live in. The culture of peace makes us see that to defend ourselves from the aggressive day-to-day, we do not have to attack”. “An excellent work, because it has taught us that every day we can do better for ourselves and others. A view of peace helps us reflecting on the bad days as well”. The Foundation’s main growth factor in 2018 is hiring some of our Peace Educators who until now have worked as volunteers, and who as qualified educators will become paid employees. The budget is R$ 332.000,00 (83 000,00). Up until now, the revenue already secured of R$ 92.000,00 (23 000,00 €), through the established partnerships (Citibank Bank, Pauliceia High School, and AAIT Ser Especial), will guarantee the FLGCP monthly maintenance, a hired secretary, a part-time pedagogue and the subsistence allowance of volunteers. Thus, R$ 240.000,00 (60 000,00 €) are required to complete the budget. Be part of this success story. Your contribution will make it possible to strengthen and boost the BE IN PEACE Program, making the growth of FLGCP a reality. The amount of R$ 240.000,00 (60 000,00 €) was divided into 50 quotas of R$ 4.800,00 (1 200,00 €) per year. We count on you! Our most sincere gratitude for your generous support! AAIT Ser Especial – Association dedicated to training young apprentices with both regular and special needs. Weekly meetings with 2 groups of 15 young people each, and biweekly meetings with 10 couches. Attendance of 40 people. Began in 2017. 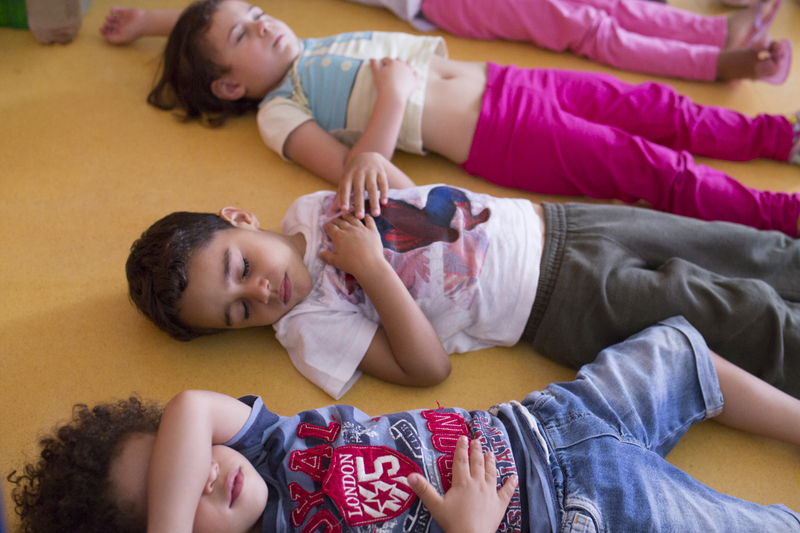 Julita Foundation – Assists children, young people and families in situations of social vulnerability, through social-educational actions that promote the exercise of citizenship. Operates in the Jardim São Luís neighborhood. 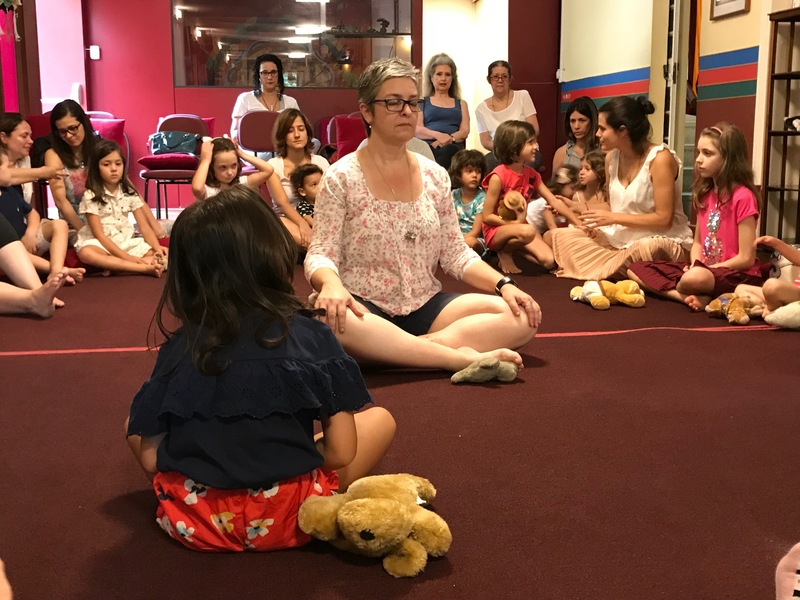 The Being in Peace program trains educators to be multipliers of PRC breathing and concentration meditation practice and culture of peace concepts and practices. Weekly meetings with 35 educators, reaching 1500 indirect beneficiaries. Began in 2016. Paulicéia High School – The Being in Peace program trains educators to be multipliers of PRC breathing and concentration meditation practice. Began in 2016. Monthly meetings with 40 educators, reaching 800 students indirectly, and weekly meetings with high school students. 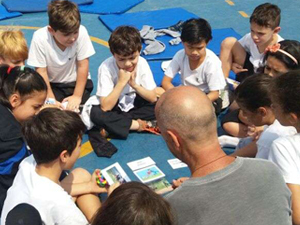 José María Pinto Duarte Municipal Middle School – The Being in Peace program trains educators to be multipliers of PRC breathing and concentration meditation practice. Weekly meetings with 15 educators reaching 600 students. Began in 2017.